If you have natural gas at your property, then you have probably noticed there are a lot of numbers on your bill followed by ‘MJ’. But what does that even mean? In this article, Canstar Blue will explain what MJ means and how you can use this knowledge to get more information out of your gas bill, and maybe even save some money. MJ is an abbreviation for MegaJoule, which is a unit of energy equivalent to one million joules. A property’s gas usage is measured in megajoules and is recorded using a gas meter. This information is then passed on to your natural gas retailer for billing purposes. Your gas usage information (in MJs) will be detailed on your bill, helping you understand your gas usage habits and how you can save. 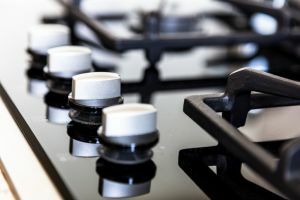 Gas appliances usually detail their energy consumption in terms of megajoule-hours (MJ/h), that is, the number of MJs the appliance consumes in one hour. For example, a gas heater with an input of 25 MJ/h will consume 25 MJs in one hour. If you see a gas appliance described in terms of just megajoules, you can safely assume it means its consumption in MJ/h. If you notice that a gas heater or oven lists a kilowatt-hour (kWh) value instead, then that is referring to its heat output (not gas consumption). At maximum efficiency, 1 kWh of output will consume 3.6 MJ of gas. Of course, not all appliances are the same and gas consumption will vary depending on the size and make of the model. Also be sure to keep an eye out for energy efficient models so you can save long term in gas usage charges. The rate that customers pay for gas varies across different gas networks and states. 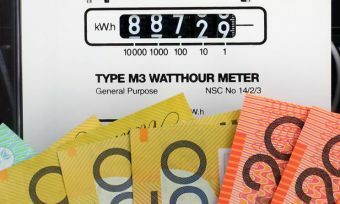 For example, Western Australian and South Australian households tend to spend a little more on gas than customers in other states, while Victorian customers are often treated to some of the lowest gas prices in the country. Victorians consume a lot of natural gas, particularly through the winter. The huge demand for gas has kept competition fierce in the state and customers have plenty of suppliers to choose from. The typical price of gas in Victoria will look something like the following, with prices shown in cents per megajoule. Customers in New South Wales also have a wide variety of gas retailers to choose from. NSW gas products tend to have a few more daily usage ‘blocks’ at slightly higher rates than in Victoria. WA didn’t have much competition in its gas market until only a few years back, but now customers are almost spoiled for choice. WA gas bills and price fact sheets display gas usage in terms of ‘units’ rather than MJs, with one unit equivalent to 3.6 MJ. This way, gas prices are comparable to electricity prices. Unlike in other states, gas prices in WA don’t vary that much between the different retailers as prices are regulated by the state government. Your gas bill includes a lot of information, so it’s understandable if you struggle to make heads or tails of it. With that said, now that you have a better idea about megajoules and block rates, you can now start to understand your bill a little easier. Keep in mind that the design of your gas bill and the information it includes will vary across retailers. 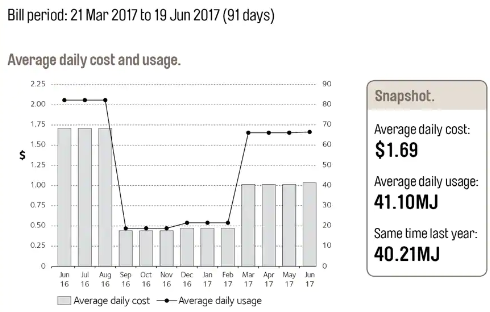 Most gas bills will include a graph similar to the one shown below that provides some insight into your natural gas usage over time. The left-hand side of this bill illustrates the average cost of gas in the most recent months, while the right axis illustrates average daily gas consumption. Knowing this information will help identify trends in your gas usage and whether you need to cut back to save. Page two of the bill is usually a bit more technical. 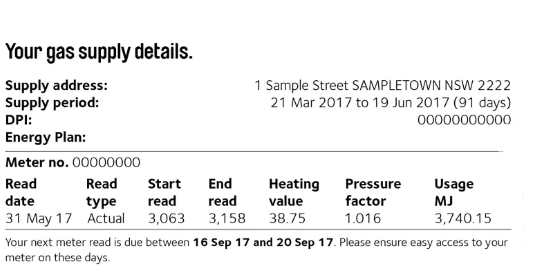 The ‘read type’ column indicates whether someone actually read your meter, or if the gas company instead made an estimate to bill you. The ‘start read’ column indicates the number on your gas meter at the end of your previous billing period. The ‘end read’ column indicates the number on your meter at your most recent meter read. The next column, heating value, is where it gets a little confusing. Heating value is the amount of heat released through burning a quantity of supplied gas. The ‘pressure factor’ column takes into consideration the volume of gas-based pressure and temperature. Your total gas usage (in MJ) is calculated by subtracting the start read from the end read, and multiplying that result by the heating value and pressure factor. The end result is your real usage in MJ. This figure is then multiplied by your usage rate. Supply charges and extra fees are then added on as discounts are subtracted. The end result is the total amount you owe. While you might just look at what you owe and then toss the bill out, it’s important to check this section to make sure you’re being charged correctly. If not, don’t be afraid to take it up with your provider. Understanding your gas usage is the first step towards finding a better deal. Now that you understand joules, megajoules and everything in between, you’re ready to get out there and compare providers. Be sure to check out Canstar Blue’s customer satisfaction ratings via the link below.